You can’t mistake a gout attack, as you suddenly develop an inflamed and intensely painful joint, often in the middle of the night. Although your symptoms may go away, you’re at risk for recurrent gout attacks that progressively worsen. Amer Al-Khoudari, MD, FACR, at Arizona Arthritis Clinic, PLLC, provides treatment that relieves acute symptoms and helps prevent future attacks. To learn more about gout, call the office in Chandler, Arizona, or book an appointment online. Gout is a type of arthritis that develops when uric acid crystals build up in your joints. While gout can appear in any joint, uric acid tends to accumulate in colder parts of your body. The joint at the base of your big toe is most often affected. Gout also commonly appears in your midfoot, ankle, knee, and elbow. Uric acid comes from two sources. It’s naturally produced in your body because it’s a component of substances called purines that help build DNA. It’s also a waste product that’s created as your body metabolizes purine-containing foods. Excess uric acid is normally excreted with your urine. If your kidneys don’t remove enough uric acid or you produce too much, it builds up in your bloodstream. That’s when uric acid crystals can end up in your joints. What symptoms develop due to gout? Gout attacks are well-known for appearing suddenly. The affected joint becomes swollen, red, and very painful, usually during the night while you sleep. Although your acute symptoms should peak within a day then begin to diminish, joint discomfort often continues for weeks. Many patients develop recurrent gout attacks. Without treatment, these episodes become more frequent, and deposits called tophi develop as uric acid crystals become permanently lodged in the joint. Over time, tophi cause joint damage. Your doctor at Arizona Arthritis Clinic may evaluate your diet and recommend limiting high-purine foods to help prevent gout attacks. Your ongoing treatment consists of medications to treat acute gout symptoms, prevent future attacks, and lower your risk of developing crystal deposits. In addition to medications that reduce inflammation and relieve pain, your doctor may recommend medications to lower blood levels of uric acid, especially if the affected joint is damaged. It’s important to get treatment at the first sign of gout. 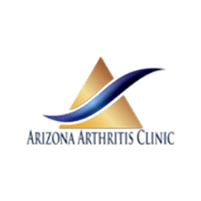 Call Arizona Arthritis Clinic or book an appointment online.